In the quiet port town of Sihanoukville, Cambodia, over 1000 children work and live on the beaches, trying to make a meagre living off the tourism industry. 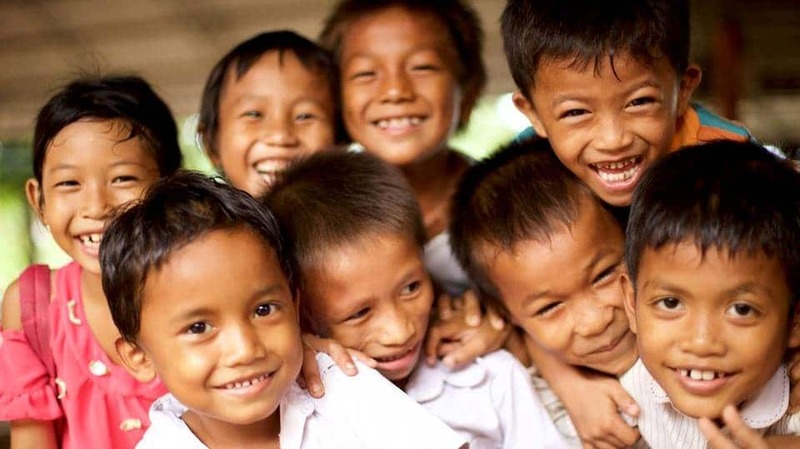 Since 2003, local non-profit organisation M’lop Tapang has been working with families living in informal settlements, migrant labourers and street and working children, to provide safe and nurturing environments for children and youth – in order to protect and rehabilitate them from a life on the streets. The Tapang tree, or ‘umbrella’ tree, provides shelter from the elements and means ‘protection’ in the Khmer language. M’lop Tapang offers regular meals, shelter, educational services, arts and music services, employment opportunities, medical care, sports and arts, drugs counselling, family support, shelter and protection from all types of abuse. AtlasAction: Contribute by eating Cambodian food at M’lop Tapang’s vocational training restaurant Sandan, and by visiting Tapang’s, their non-profit venture that sells handcrafted products made by parents of former street children. Sign up to volunteer for M’lop Tapang in Cambodia here. M’lop Tapang was mapped by Talia Kaufman, Skateistan Programs Director in Surf, skate, liberate: Skateistan’s AtlasChart Top 5. Tags: Awareness raising, Campaigns, Communication, Community, Culture, Education, Empathy, Employment, Entrepreneur, Garment workers, Housing, Hunger, Income, Language, Mentoring, Rehabilitation, Social inequality, Youth.